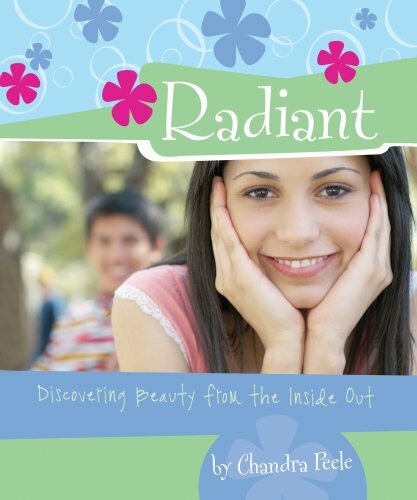 Synopsis: Radiant, the follow-up to Priceless by the same author, Chandra Peele, is a six-week interactive Bible study written to help teen girls understand how to radiate unparalleled beauty as found only in Jesus. This fun, interactive study is designed to help girls discover that their best self is found in their relationship with Jesus. Written in a lively style, Radiant includes personal stories, lots of Scripture interaction, questions for reflection, memorization exercises and space for journaling. About the Author&colon; Chandra Peele, author of Priceless and Radiant and coauthor of Great Love (for Girls) and Great Love (for Guys), is a highly recommended speaker and author. She has been endorsed by pastor and author Max Lucado; nationally known youth speaker David Nasser; Stan Lee, founder of Dare 2 Run Ministries; and many other ministers of youth who have invited Chandra to minister to their youth. This former minister of youth is the founder of GAB (Godly and Beautiful) Ministries, Inc., a ministry with the mission of reaching teens in a real world with a real God. She is a certified abstinence trainer and has worked with such ministries as Fellowship of Christian Athletes, Youth Specialties, and WAIT Training. In addition, she frequently works with Teen Moms and pregnancy care centers across the United States, as well as other programs needing assistance with at-risk children. She writes a monthly column, “Dear Gabby,” for the Christian Beacon (San Antonio) newspaper. Although she travels extensively, she and her family call Spring, Texas, home.